LEXMARK C540H1MG - Magenta| The best value for money! You are currently 139 to shop on our site. 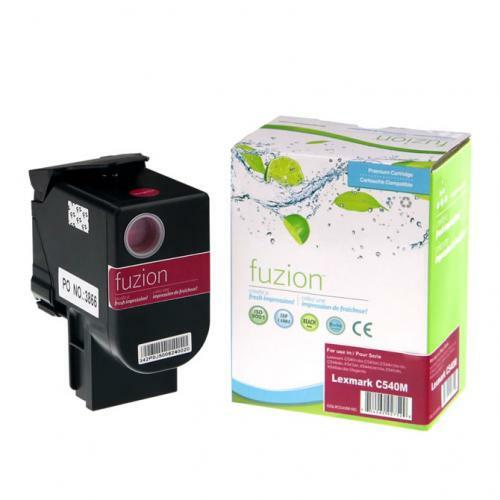 Laser Toner Cartridge Magenta Compatible LEXMARK C540H1MG certified ISO 9001 and ISO 14000, ensures performance and print quality comparable to original cartridges. Product guaranteed at 100 %. 1The product version determines when it has undergone its last revision and upgrade. Today's printers, when connecting to computers, tablets or any mobile device, have the ability (often without your knowledge) to change some of the printer's internal settings. This automatic printer leveling technology has been developed by OEMs to counteract recycled or compatible cartridges. It's important to make sure you always have the latest version cartridges; otherwise it could significantly affect cartridge performance. 2The generation determines the components used for the manufacturing of the compatible cartridge or the recycling of the original cartridge. (HD) High Definition, (EHQ) Economical High Quality, (EP) Which can be translated as ... Manufactured to be sold for the price, regardless of performance. 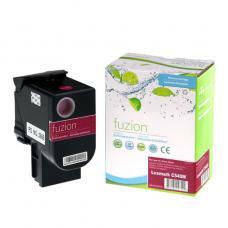 3 Manufacturers of compatible & recycled cartridges have the choice to use inks & toners with different components. A wrong choice can directly affect the yield (30 to 60% fewer copies) per cartridge and cause premature wear on your equipment. Lexmark C540H1KG Toner Black Compatible Article #: GLLEC540H1KG Origin code: C540H1KG Type: L..
Lexmark C540H1YG Toner Yellow Compatible Article #: GLLEC540H1YG Origin code: C540H1YG Type: ..